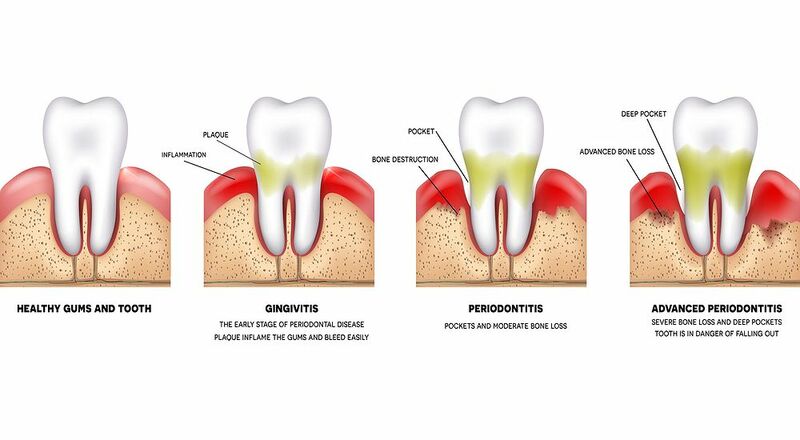 When you have infected tissues surrounding your teeth, the common result is gum disease. If left untreated in adults, gum disease can lead to tooth loss, and some studies even link severe gum disease (also called periodontal disease) with heart disease, diabetes and stroke. Gum disease is usually painless and can often go undiscovered. Because of this reason and the fact that gum disease is a potentially serious condition, it’s important to get regular dental checkups and examinations. ► Read also: What is ORTHODONTICS?